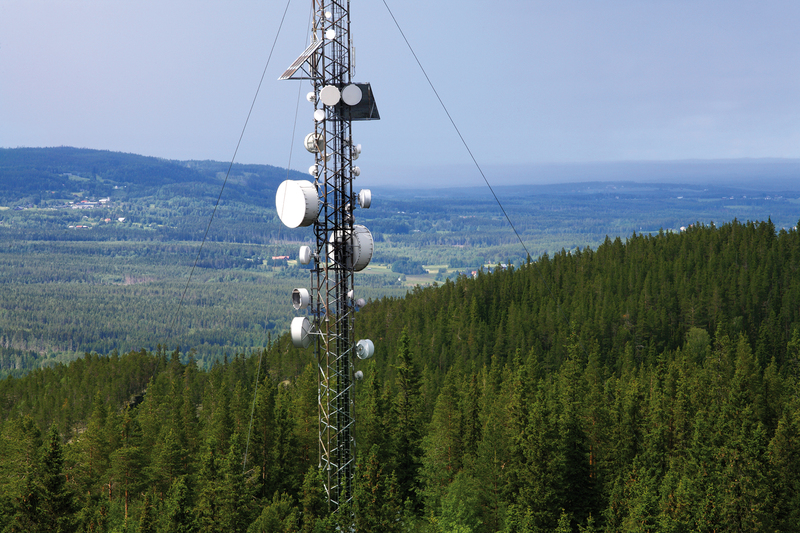 INVENTIA is a global vendor of telemetry and location tracking products based on GSM/GPRS and GPS technologies. Founded in 2001 and located in Warszawa, Poland, INVENTIA has become one of the leaders in professional GPRS telemetry and control. Scope of the offer includes not only telemetry and localization modules but also open architecture solutions based on proven industrial standards. INVENTIA delivers easy to use configuration and system integration tools providing open connectivity to customer SCADA systems, relational data bases and data management systems. In cooperation with AB-MICRO company well known on the industrial automation market, we have sold over 100 000 modules to 60 countries of the world. 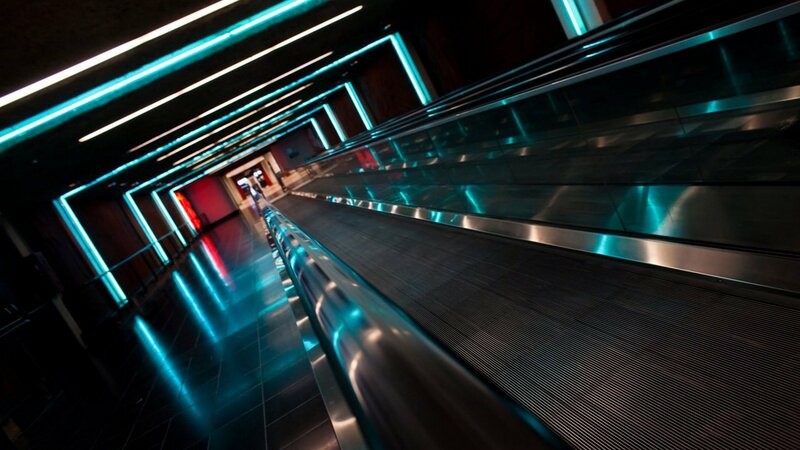 The market success results not only from the high quality products and their innovative functionality, but also from the consequently implemented concept of solutions that are freely configurable by the user. Our products are designed and developed by team of industrial automation, telecommunication and IT specialists with long-term engineering experience The telemetry modules of MT series won the prestigious awards, e.g. Gold Medal on AUTOMATICON Fair and Grand Prix on WODKAN Fair. Over 30 employees: engineers, IT specialists and experts supporting customer service. Common professional activity and constant development of the staff ensure the best effect. telemetry and location devices based on the cutting-edge technologies. Our offer also includes: open scalable telemetric systems equipped with configuration and integration tools that provide connection to SCADA systems, relational databases, data management and analysis systems. Inventia is primarily a team of people who can rely on themselves, integrate and support each other. The goal of our activities is to provide the most accurate response to customer needs, as well as to maintain the highest level of service. We use the latest achievements of technic and technology to create optimal solutions that manage to change the daily work of many industries. INVENTIA provides services and products of the highest quality. This is possible thanks to the continuous improvement of the design and production process, as well as investing in the development and improvement of the staff competences. Customer satisfaction is constantly monitored. 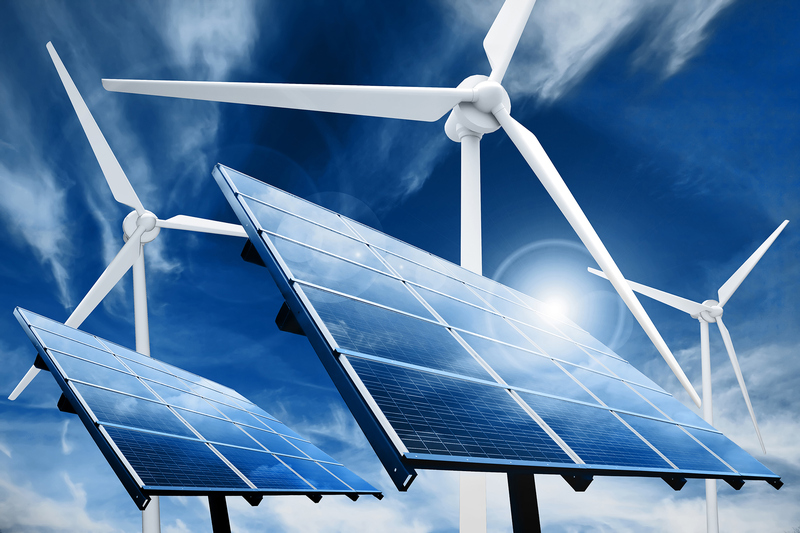 The company’s partners receive not only products and solutions, but also technical support while choosing the module as well as during its implementation. Number of sold modules 100000 pcs. Number of pumping stations on MT-101 11000 pcs. 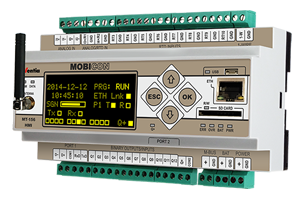 MOBICON is a family of new generation telemetry controllers for demanding tasks and applications. MT-156 HMI model is a professional, industrial design combining functionality of programmable logic controller, data logger, protocol converter and wireless communication interface for 2G/3G packet transmission over GSM network. Dual-SIM technology ensures superior level of GSM network availability, providing redundant channel of data transmission. Ethernet port provides powerful capabilities of integration with other devices and systems of the user. With compact, robust design, integral GSM modem, attractive technical eatures and easy to use configuration tools the MT-156 HMI controller is an optimal solution for demanding wireless telemetry, control, diagnostic, surveillance and alarm systems. 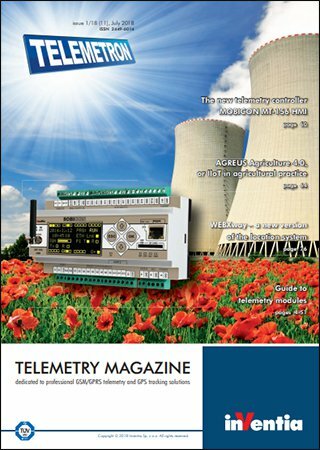 This is the tenth edition of the telemetry magazine that we present to you. 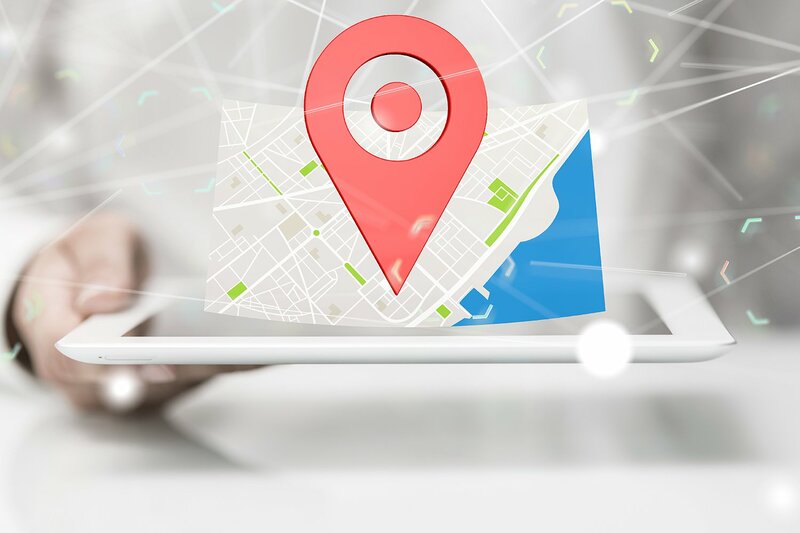 We are honoured to have been able to provide you for so many years with new information about professional telemetry and tracking solutions based on GSM/GPRS/3G/4G and GPS mobile technology. We hope for another successful decade with TELEMETRON magazine! 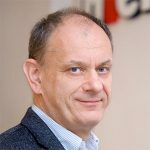 On the occasion of the jubilee edition of the magazine and the 16th anniversary of INVENTIA President Jerzy Białousz shares with you his reflections about the history of the company’s development. 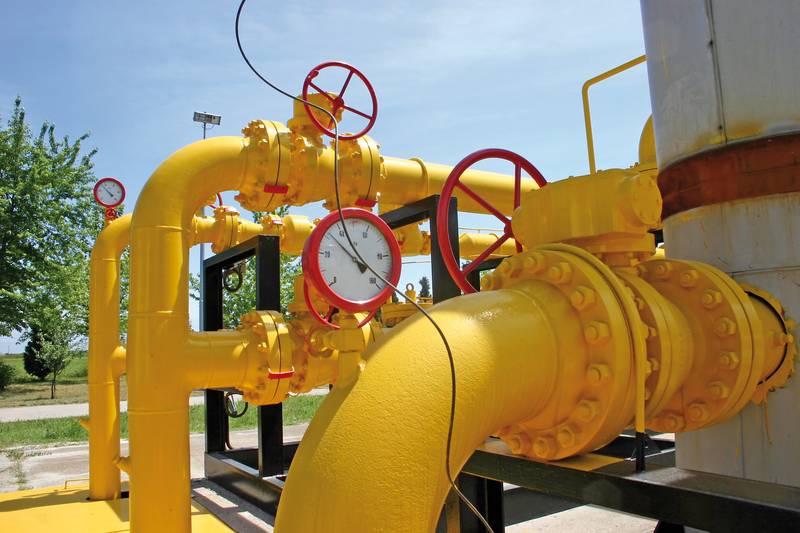 We encourage you to read the articles dedicated to the new MT-651 and MT-652 telemetry modules that entered the market last year as a response to the demand from the gas industry. In this issue we have also included a description of new capabilities in MOBICON® series programming and new features in the communication of these modules with M-Bus devices. The IoT (Internet of Things) family of telemetry modules, which is a group of wireless sensors based on the LoRa radio technology, as well as the new TK500 routers produced by Welotec Company, are Inventia’s new offerings. We would like to thank Mr. Jarosław Strojecki from AB-MICRO, the company which was the precursor of our telemetry solutions, for his article on predictive maintenance in transformer stations, a process based on temperature monitoring by means of the MT-151 HMI module. 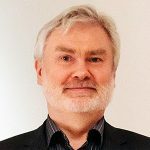 Many thanks also to Mr. Maciej Sawicki, who has described the use of advanced functionality of a new generation of telemetry modules in applications developed and implemented by Control System last year, and Mr. Maciej Malicki for his article about the use of the new modules in cathodic protection. 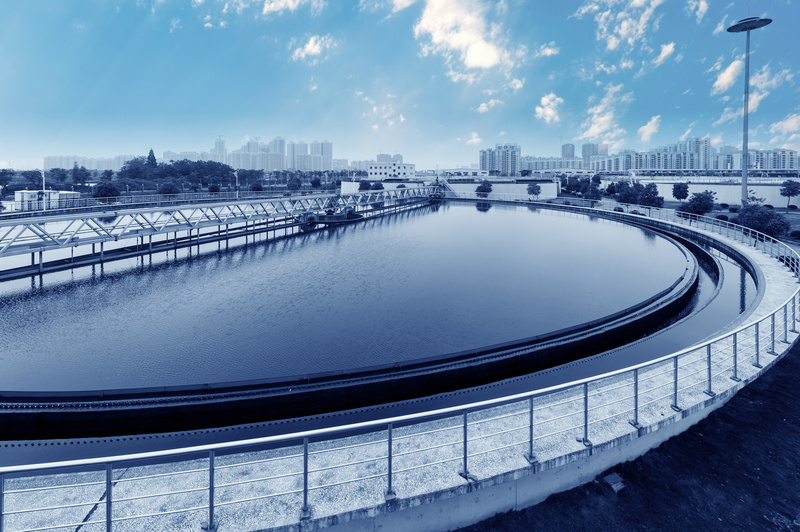 In this issue we also publish two articles by our foreign partners: ICH from Mexico, which has used telemetry modules for remote monitoring and control of drinking water intakes, and Pipeguard from Sweden, which has implemented a telemetry system for monitoring district heating pipelines in China’s first plant generating heat with the use of environmentally-friendly solutions. In this issue you will find specification sheets for Inventia’s all telemetry and tracking modules, which are colour-coded into different application groups. The comparison table placed at the end of the magazine makes it easy to find a device with the resources and capabilities that best suit your needs. 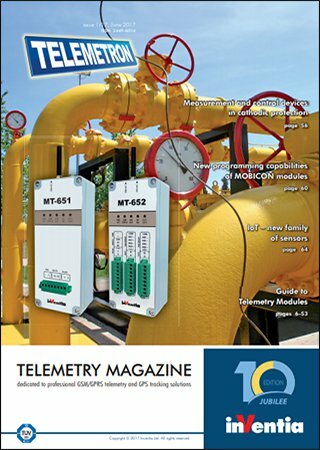 We are giving you the next issue of TELEMETRON magazine informing about new solutions, products and implementations in telemetry, telematics and remote location, using mobile technologies GPRS / 3G / LTE and GPS. According to the new market trends, the presented notes also devote to solutions based on the cloud, Industrial Internet of Things (IIoT), Industry 4.0 and the MQTT protocols. We present new products in our offer, new technological solutions, new functional capabilities of telemetric modules and software as well as examples of applications implemented by our partners. visualization and reporting portal that allows convenient access to animated synoptic screens, graphs of report and alarm reports using mobile devices. WebXway is an online version of the Xway vehicle location system already known on the market. We hope that the cloud solution, the new user interface, and the new navigation method will be positively received by existing and new users. As every year, we present examples of implementations of our partners. Mr Maciej Sawicki from Control System described applications made last year using the latest generation of MOBICON telemetry modules. The German company Eisenbahntechnik Munder GmbH used MT-713 telemetry modules to develop a rail track monitoring system, and the Irish company MultiBand monitors various types of production processes and supervises industrial devices using the MT-100 and MT-101 modules. The latest edition of the magazine contains updated catalogue sheets of all standard telemetry and location modules produced by our company. The catalogue has been divided into various groups of applications distinct by colours. To facilitate the search for devices according to their resources, a summary of all modules in the form of a comparison table is available at the end of the bulletin. Inventia is a global supplier of telemetry and vehicle tracking products based on GSM 2G/3G/LTE and GPS mobile technologies. 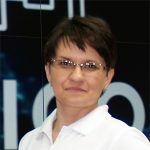 Founded in 2001 and located in Warszawa, Poland, Inventia has become one of the leaders in professional GPRS telemetry.